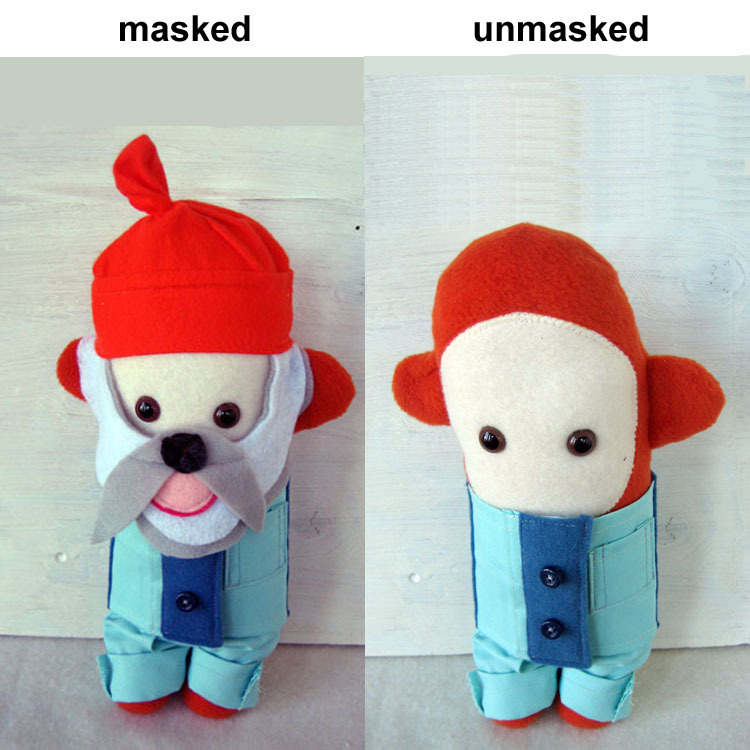 Meet Mr. Beardsley, a little plush doll with a removable beard disguise; in this incarnation he's a member of Team Zissou. Indimidnation has created a whole family of bearded (and unbearded) guys... Baby Beardsley, Baby of Baby Beardsley, as well Masked Men and the Tiger Series. Soft, cute, and hand made. You don't have to be a kid to enjoy these... although I'm sure it might help.